The Three Musketeers is one of those classics that is so culturally prevalent that I felt almost duty-bound to look into it. So when I found that it was one of the free ebooks when I fired up Google Books, I thought that this would be the perfect opportunity to take a look at a much-beloved classic. The reader follows D'Artagnan, a young and hot-tempered noble who sets out for Paris seeking glory and fortune. 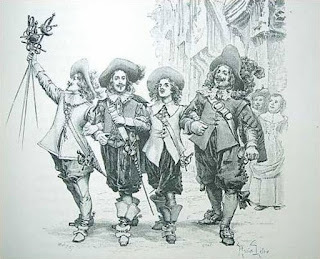 Upon arriving in Paris, his attempts to gain acceptance into the elite musketeer company are initially hindered when his haste to avenge a slight causes him to anger three musketeers: the quiet and stoic Athos, the boisterous and vain Porthos, and the womanising would-be priest Aramis. And having befriended his would-be opponents, he finds himself getting involved in the private affairs of several august personages. I went into The Three Musketeers expecting adventure and maybe a bit of intrigue. I hadn't realised just how much modern adaptations remove some of the more unsavoury aspects of our heroes' behaviour. I mean, I was kind of expecting some dissonance with regards to values, considering when it was written. 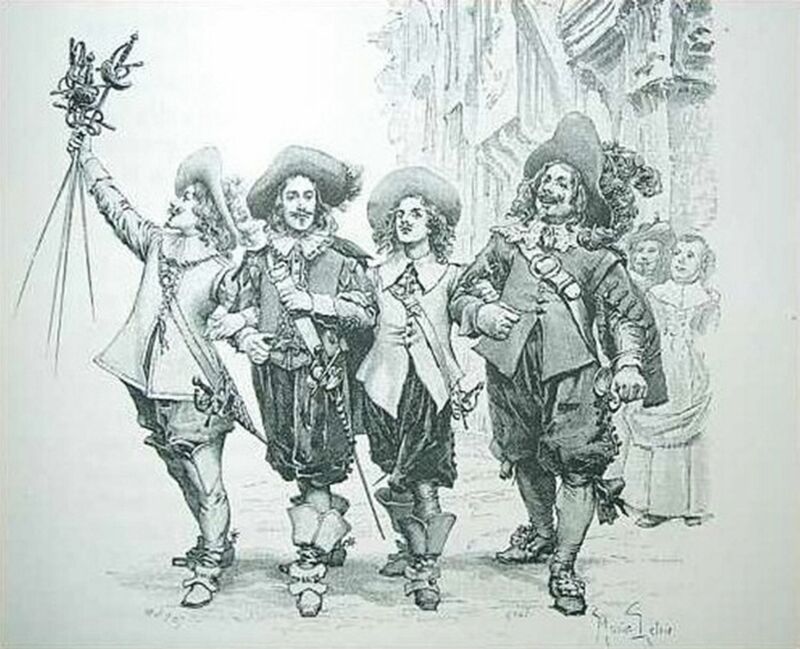 But at the same time there is a surprising amount that adaptations leave out, such as the utterly shameless way that they seduce married women in order to get funds that is almost immediately squandered on high-living, or the servant girl that D'Artagnan uses and casually abandons to avenge himself on her mistress. While they are undoubtedly the lesser of two evils compared with the duplicity of Milady de Winter, it does feel a bit more grey than was perhaps intended by the author. The unexpected underhandedness of the eponymous heroes aside, The Three Musketeers is a thoroughly enjoyable adventure, with a fair bit more depth than I had expected at first. And while I do have some reservations about some of his misogynistic tendencies, I did end up developing a bit of a soft spot for Athos. That may well be because he seemed to be the most competent and collected of the four protagonists though.